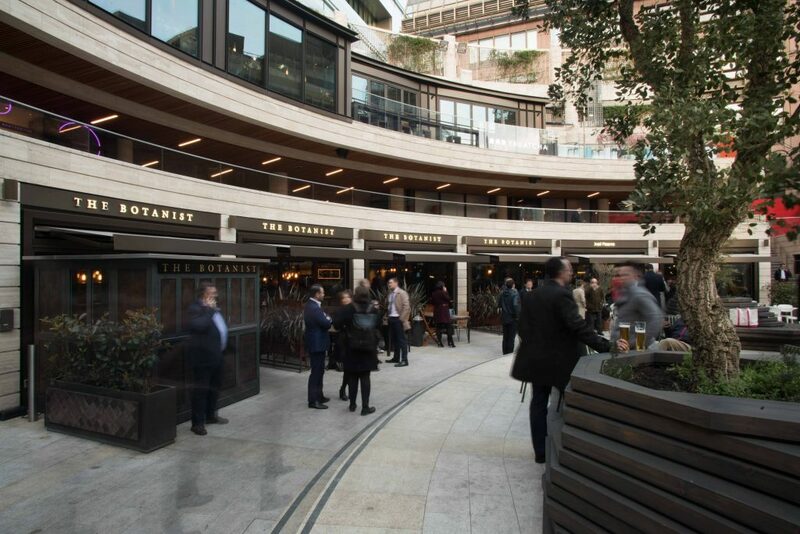 The Botanist Broadgate Circle is the perfect venue for your special occasion. Enquire now to find out more. Soda Room is our stunning private event space for up to 150 guests. Beautifully designed, you venture underground to be greeted by a glamorous, seductive and elegant interior which is flexible and versatile to suit any event. Within the room there's full PA support, projector and screen, DJ booth, optional party lighting and private cloakroom. Soda Room, open until 2am would also suit non-private events for groups of 10-40 guests. The Copper Bar on the ground floor is a vibrant and flexible event space suitable for standing drinks receptions of up to 80 guests or seated dining for up to 45. It has a private bar when used exclusively, you still however get the ambience from the rest of the venue. The Copper Bar can also be booked for multiple smaller parties from 10-25 people. The Banquette is a great dining space for parties of up to 28 guests, seated together on long tables. Situated just behind the main bar your area is semi-private with a lively, fun atmosphere. A fantastic A La Carte menu and set menus are available. The Library is a perfect location for up to 25 people. This intimate, copper and gold finished area suits anything from friendly drinks to client canapés and cocktails. The Library is a fantastic base for a long sunny evening with direct access to the outside terrace. The Lounge, just to the right of entrance level is a premium entertaining space for 25 to 40 people, square in design it lends itself exceptionally well to client entertaining. If the sun is shining you also have the option to include very much sought after terrace space. Within the area there is a TV for presentation material or logo display.